Asking when we should begin teaching apologetics assumes it is a discipleship endeavor that is separate from the rest of a childs spiritual development. For many people, the reason for that idea is an assumed definition of apologetics that is overly narrow and difficult to apply to young kids. With a more comprehensive understanding of what apologetics is, however, it becomes clear that there is a much wider scope of teaching opportunities available. Yes, even for kindergarteners. Most ... See More Christians who have at least some knowledge of apologetics think of it simply as defending the faith. Christian parents, aware of the fact that the world is becoming increasingly hostile to Christianity, often want their kids to learn apologetics so they are prepared to make that defense. But if a parent thinks teaching apologetics means sitting a child down with a textbook on biblical archaeology or textual criticism, that child wont be learning to defend their faith for many years. Meanwhile, young elementary kids are already hearing from classmates, friends, and popular media that God doesnt exist, that the Bible is a fairly tale, that Christians are unloving, that the most important thing in life is to be true to yourself, and much more. The bridge must be gapped, and it starts with identifying what kinds of knowledge are involved in defending the faith. 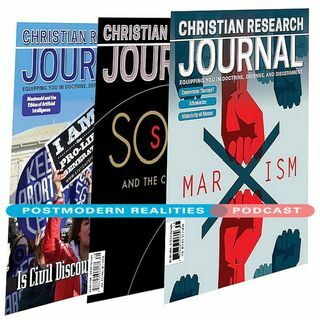 This Postmodern Realities Podcast episode is a conversation with JOURNAL author Natasha Crain about her Volume 41, no. 1 feature article, Kindergarteners Need Apologetics, Too.